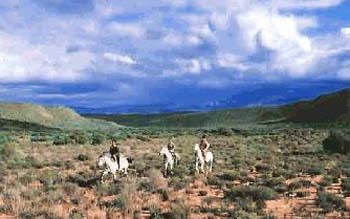 Calitzdorp is a haven for outdoor enthusiasts and offers a wealth of fishing & canoeing, bird-watching, 4×4 and other scenic routes, mountain biking, horse-riding and wine-tasting opportunities. Walking & Hiking Trails: there are various walking and hiking trails including: Gamkaberg (1-2h), Redstone Hills (2-5h), Matjiesvlei (2-4h), Retreat at Groenfontein (1-4h), Hennie Cloete Succulent garden (1h) and Buffelskloof (1-2h), as well as a number of longer hiking trails, from 1 to 5 days. Mountain Passes and Scenic Drives: explore the scenic passes in the area: "The Hell" / Gamkaskloof, Bosluiskloof, Groenfontein Circular Route, Huis River Pass, Meiringspoort, Rooiberg Pass, Seweweekspoort & the Swartberg Pass. The historic Donkey Trail over the Swartberg Mountain was the only connection between Calitzdorp to Die Hel until 1963 when a road was built winding from the Swartberg Pass down into this remote valley. Today this 4-day hike provide an unforgettable experience for the more experienced hiker. The Calitzdorp Spa is famous for its naturally healing and rejuvenating mineral water, which bubbles up from the earth and contains many minerals with iron and manganese in abundance. De-stress in these natural hot spring baths to soothe the stress of modern living. 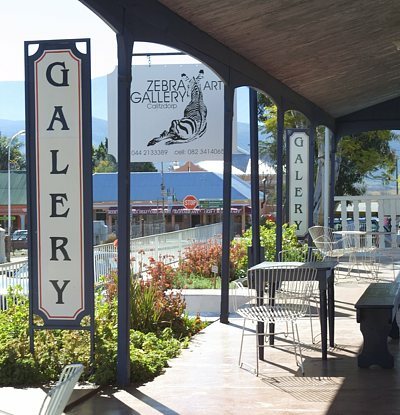 Calitzdorp has a small museum and two art galleries and its fair share of artists - including painters, potters, ceramists, crafters, photographers and musicians. Get hold of the official Calitzdorp Arts and Crafts Meander map and explore art through the town and its surrounds. 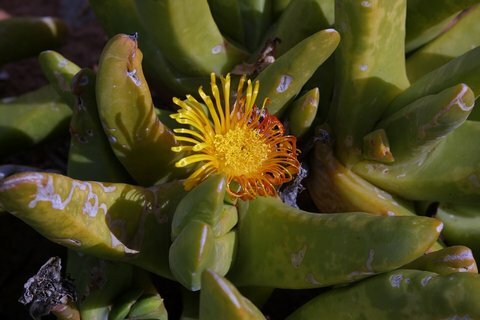 The Hennie Cloete Succulent Garden offers a lovely view of the town and a one-hour walk to view many of the succulents for which Calitzdorp is famous. Calitzdorp also has two nature reserves: Die Poort and Gamkaberg Nature Reserve, both offering accommodation. Experience the stunning sunsets and the glorious Karoo night sky under a canopy of billions of stars in the clear Karoo air. Calitzdorp is also very centrally situated and the ideal stopover for travellers wishing to enjoy all that the attractions that the Garden Route / Klein Karoo region has to offer. Take a drive to the spectacular Swartberg Pass, the Huisriver Pass or the Rooiberg Pass with its stunning indigenous African flora and fauna and views of the majestic mountains, or visit the Cango Caves, a renowned World Heritage site.